We want to personally thank Richard Grist and Paul Grist for making our land sale quick and hassle free. They were very aware of how to sell our property quickly and for the price we wanted. Our property sold in less than a week! Thank you Foxfire Realty! Foxfire Realty is by far the best real estate company in this area. We highly recommend them for selling a home or land. We really appreciated their promptness and professionalism. Since 1949 our family has provided owners and the prospective owners of quality real estate with exceptional brokerage, auctioneering, and forest-management services. From the outset we’ve cultivated long-term relationships built on personal service and expert counsel and have grown by building a team of experts, each of whom possesses specialized knowledge. While you may work with only two or three team members, many more will be engaged in the process on our end, and we invite you to familiarize yourself with each in our team members section. 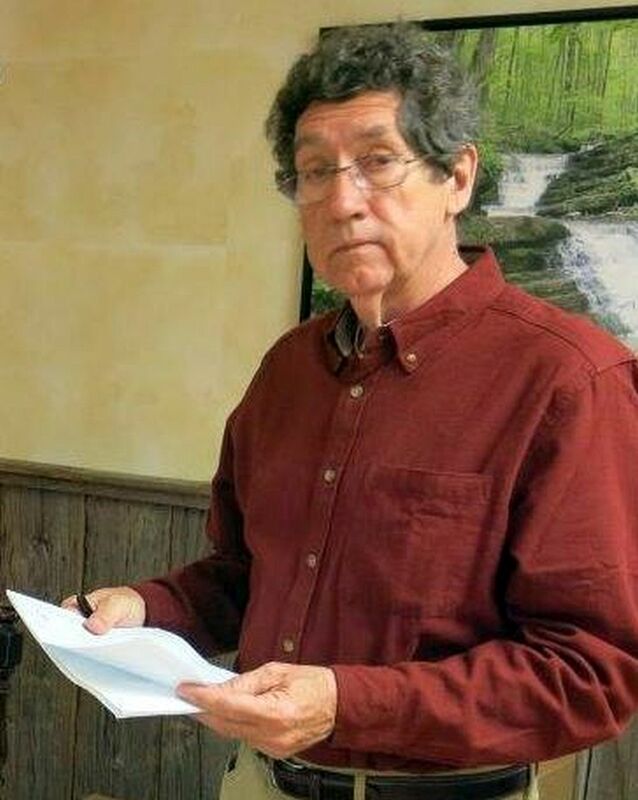 Richard is the founder and CEO of Foxfire Realty as well as Grist, Inc. Richard has a long history with land and timber management, starting in 1979 working as a Forest Resource Forester in eastern North Carolina. A native of West Virginia, Richard grew up immersed in the land management and forest industry. His father had been working as a professional forester and land manager in WV since 1949. Today, Richard continues a 35 year career working full time as a real estate broker and forester. He is the project forester for the Boy Scouts of America’s 10,000 acre High Adventure facility in WV. 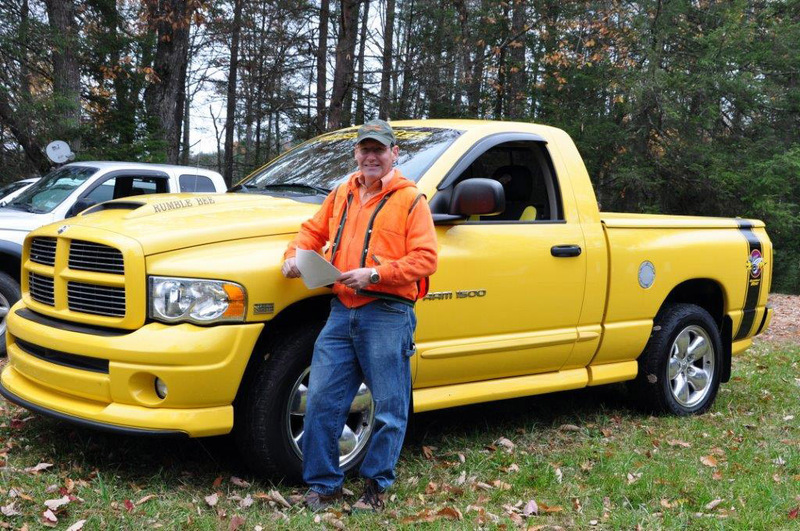 Richard holds Brokers licenses in West Virginia and Virginia and is a registered forester and licensed auctioneer. He graduated with a BS degree in Forest Resource Management from West Virginia University and is a graduate of the Nashville Auction School. He is a board member of the Greenbrier Valley Theatre, a past board member of the Greenbrier Valley Board of Realtors and a current board member of the Greenbrier County Farm Bureau. 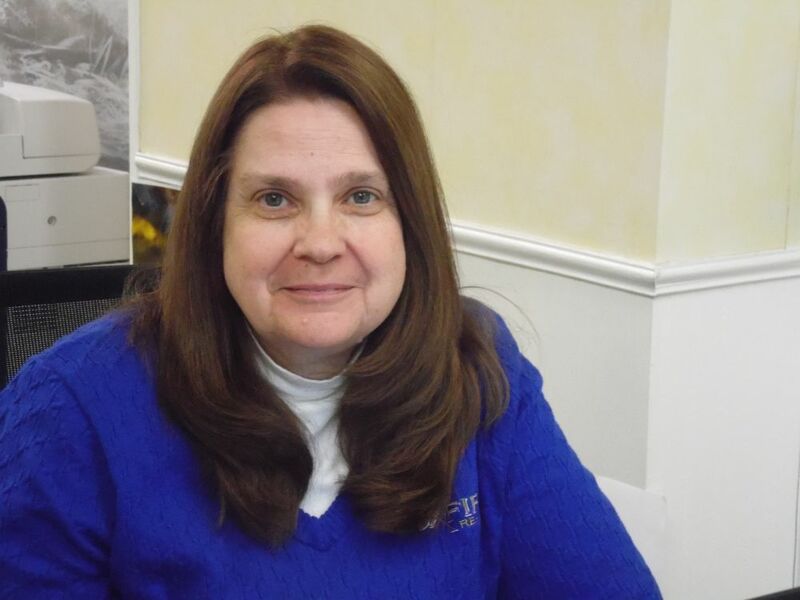 Teresa Bostic is the transaction coordinator and manager of business operations for Foxfire. With more than 20 years prior experience as a paralegal and law-firm office manager, she is uniquely qualified to help facilitate the transaction process. She was graduated from Bluefield State College with a degree in business administration. Broker, auctioneer, and personal-property appraiser, Randy Burdette has for more than a quarter century been a state and national leader in the profession of auctioneering and is past director of the National Auctioneers Association. He was the founder of Riverbend USA Auction Company and has joined the Foxfire Realty team as a principal auctioneer and real estate agent. Born and raised in Pennsylvania, Joseph “Buck” Williams’ career in the timber industry spans 3 states and 3 decades and 6 years. President and CEO of award winning timber harvesting company, Jayfor Logging, Buck currently works with Foxfire Realty as both sales associate and right-hand man. 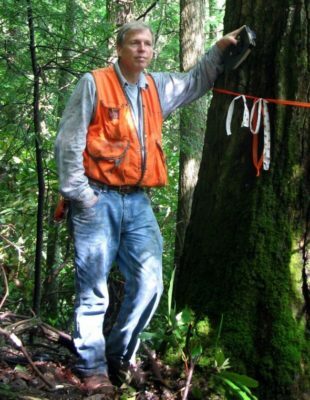 A recipient of local, state, and national career awards, Buck has testified before Senate panels regarding OSHA safety requirements, served on university committees for coordination of multiple State agencies pertaining to conservation issues and was a leader in the charge to establish Logging Safety Field Days in Pennsylvania. He has been active in National, Regional and several State foresty organizations, serving on boards of directors as in officer. He also holds a West Virginia real estate salesperson license. Buck has also developed successful housing subdivisions in both Pennsylvania and WV. Historian and long-time promoter of West Virginia, David Sibray has joined forces with Foxfire as a realtor, public relations advisor, and consultant in matters of historic real estate. He is the owner of Sibray Public Relations, a member of the W.Va. Press Association, and publisher of West Virginia Explorer. 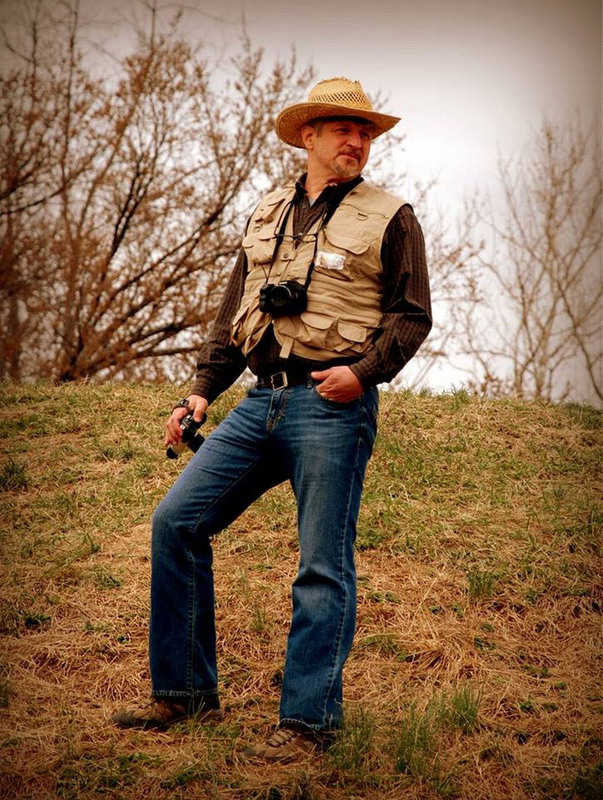 He is a member of boards of the Preservation Alliance of West Virginia and of the Friends of the New River Gorge National River and sits on the advisory board for the National Coal Heritage Area. A former chairman of local landmarks commissions, he often acts as a consultant in matters of government influence on historic real estate. 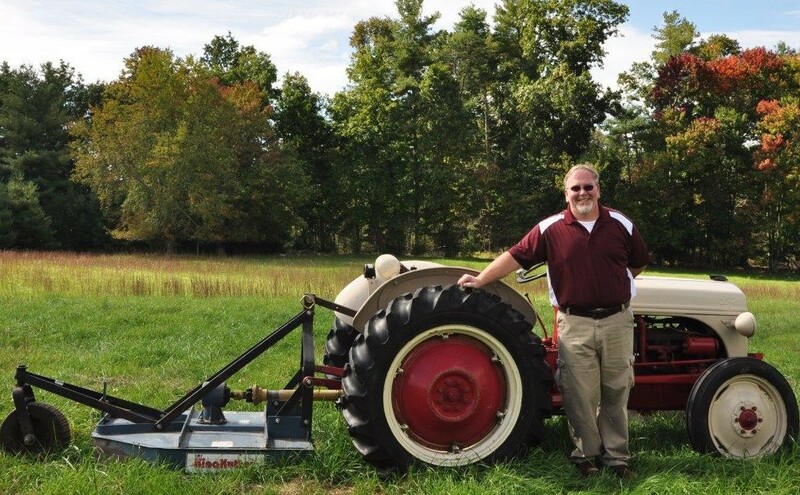 Born and raised in the southeastern West Virginia area, Matt Hall has been in land title protection and management since his graduation from Glenville State College. A native of White Sulphur Springs, Matt has called Rainelle home for many years, devoting a long career with the forestland department of MeadWestvaco Corporation in Rupert. 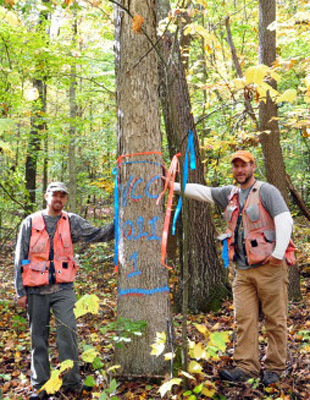 Being a licensed West Virginia Professional Land Surveyor and a licensed Forest Technician, Matt has diversified experience in land title protection and research; property boundary management; timberland taxation, sales, and acquisitions; easement management, facility maintenance and security, and personnel safety management. He was also the recipient of the H. H. Jefferson Safety award, covering a 9-state region, for significant contribution to logging safety. TWO SALES AND ONE PURCHASE – WOW!! 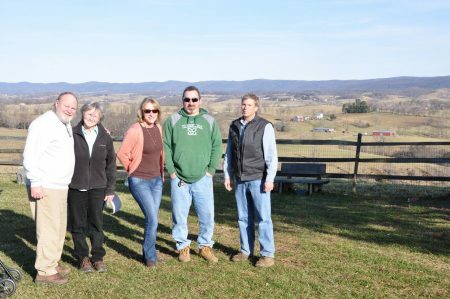 When we decided to sell our property on Elk Knob in Summers county, we reviewed other listings in print and on the web. After a short review, it was a no contest–Richard Grist’s presentations were far superior to all others. We invited him to our property to discuss terms and seek his professional advice. We could not be more pleased. He visited and we ask if he needed help walking the property but he said he would just walk the land for a while. After a few hours I was concerned and called his cell phone. He was fine–had found the property lines and settled in reviewing some classic books left by the hippy previous owners in the old cabin. That first visit was several hours–he said “this will be the best part of my day”, as he loves the remote woods and pasture. After a house tour we made plans for his next visit–a couple more hours taking pictures and enjoying the wildlife. His photography is spectacular. He came back again and sat out in the pasture waiting for the sun to be perfect for his pics of trees, deer, butterflies, goats, horses, mule,dogs, tree stumps, etc. We sent his listing to friends and relatives as no one had ever seen our place captured like this (but neither had we)–they just said “WOW!!!”. The aerial pics from their drone topped it off. For the inside he set up great shots with every light in the place on–we had never seen interior epics so bright (super camera and photographer’s eye must have had something to do with it). 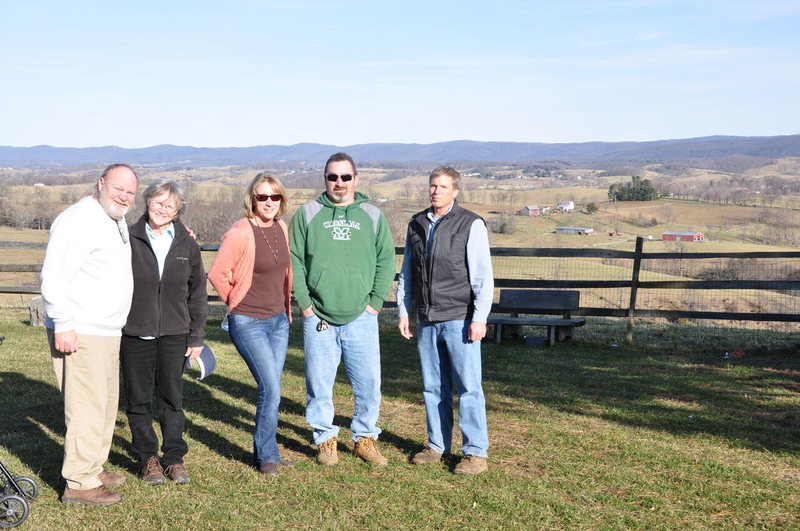 We then went to work to find our new home–after a short look we found a farm that fit our new needs perfectly–Of Course we purchased with Richard and Paul and now enjoy Highland Green Farm in Monroe County. Another exceptional experience. With the new move behind us we decided we no longer needed our camp on the Greenbrier in Pocahontas County. Of course we called Richard and after showing the property several times, he found just the right buyer for our cherished cabin on the river. We would highly recommend Richard Grist and Team Foxfire–your transaction would be a great experience. 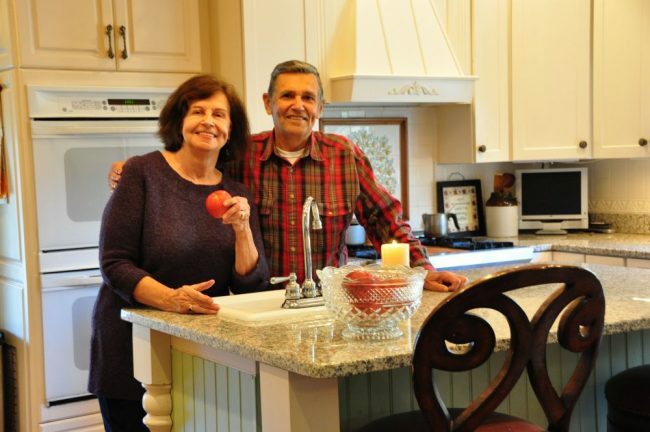 Realtor and construction consultant Jim Shannon was the founder of T.J. Shannon Construction, Inc., of Wadsworth, Ohio, from which he retired in 2008, and in that capacity he had been recognized among the top 500 remodelers in the United States. He was declared a member of the Big 50 Remodelers by Remodeling Magazine. He is a Rotary International Paul Harris Fellow. 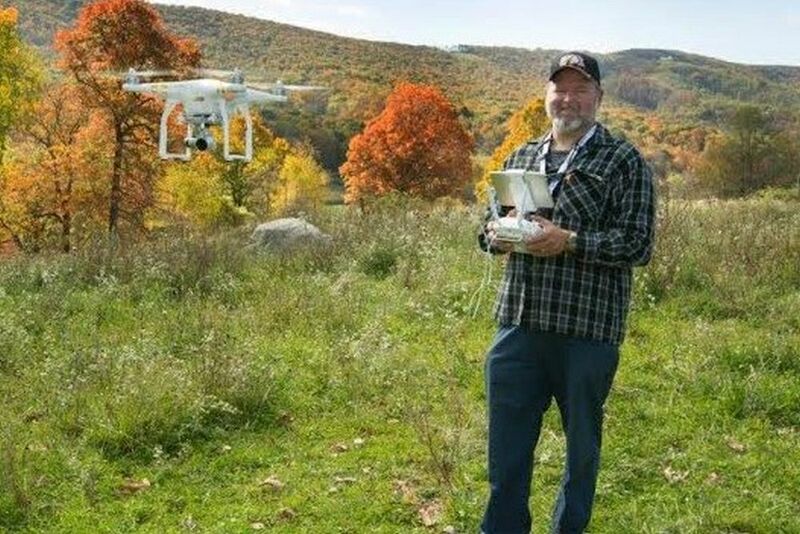 Jim is a licensed pilot and is also the ChopperFoxfire quadcopter pilot. Joseph “Butch” Robertson joins the Foxfire group after a career as a Greenbrier County educator. Robertson brings experience to the group after working as an engineer, chemist and mathematics instructor. He was a charter member of the staff that started the Greenbrier Community College that is now a branch of Bluefield State. Recently he has been working in the area of property management of private homes at the Greenbrier Resort in White Sulphur Springs. For a few years in the 1980’s Robertson operated a construction company building private homes in Western Greenbrier County. Robertson has a network of friends throughout West Virginia that he formed as he served on Governor Manchin’s technology committee, an instructor of teachers for the West Virginia Center for Professional Development, and several years as secretary of the West Virginia Coaches Association. A real esta te agent, naturalist and expert in park management, Roger Pence recently returned to the region after developing parks in Oregon and Virginia. 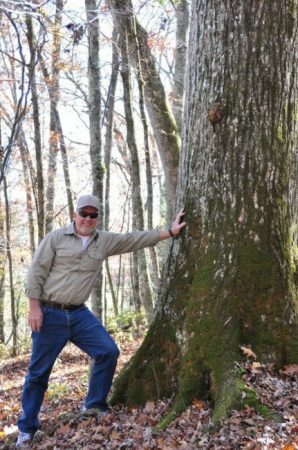 He has served as a stewardship coordinator for a regional conservation-land trust in North Carolina and serves on the board of the Greenbrier Land Conservation Trust. 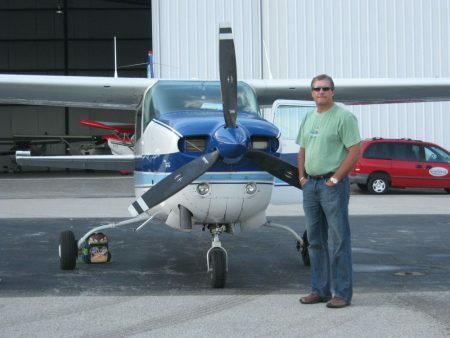 He also been licensed as real estate agent, building contractor, and land-development project manager in the Carolinas. Pamela “Sam” Withrow, owner of Camera One Photography, ensures that imagery disseminated by Foxfire is of the highest quality. 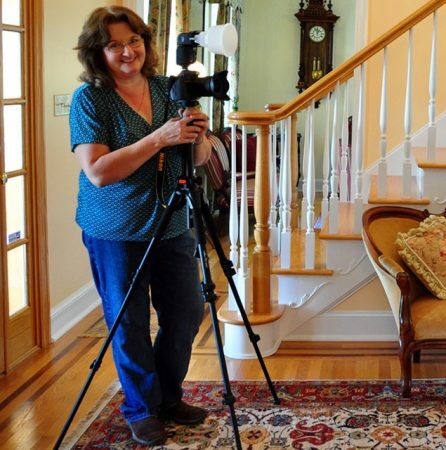 She has been an instructor at the Woodland School of Photography, from which she graduated in 1976 before becoming a photographer for Club Photos and Yellowbird Photo Service, providers of photography for The Greenbrier. Her ability to match digital enhancement with traditional photography sets Foxfire apart. Jason Gore pilots our remote-controlled aircraft, ChopperFoxfire, ensuring that clients and customers benefit from up-to-date visual technology. He is a member of the Academy of Model Aeronautics and president of Pence Springs Prop-Twisters, a remote-control-aircraft club. He is also production manager at one of southern state’s largest printing companies. Broker and Realtor Paul Grist is president of Grist Real Estate Associates, Inc. He holds bachelor’s degrees in political science and environmental policy from Virginia Tech and is a 2006 graduate of West Virginia University’s real estate institute at Parkersburg. 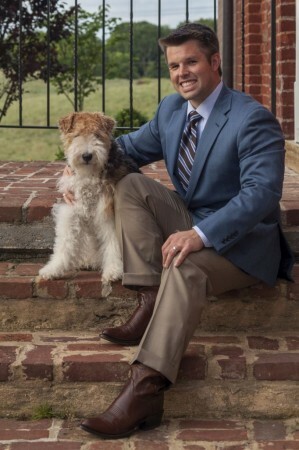 He was graduated from the Nashville Auction School in 2006, from the Professional Ringman’s Institute in 2007, and from the Certified Auctioneers Institute in 2010. Also in 2010, he was recognized by The State Journal as among the most influential West Virginians younger than 40. He was honored as the region’s top-selling agent in 2010, 2012, 2013, and 2014. Dedicated to community service from an early age, he was awarded the rank of Eagle Scout in 2000. He has served as president of both the Lewisburg Rotary Club and the United Way of the Greenbrier Valley. Robert (Rob) Thomas was born and raised in Midway, Kentucky, near Lexington, the horse capital of the world. Rob worked on the most prestigious horse farms with legendary horse racing history; notably the Gainsborough Farm for the King of Dubai assisting with taking mares to breed the triple- crown winner, Secretariat, and other derby winners. Rob has a deep understanding of computer mechanics, and during the infancy of the computer age, he began his 25 year career developing a vast knowledge of networking, repair and computer construction. Today, Rob owns “Magic’s Computer Repair”. Hi Richard Grist and Team Foxfire, A BIG THANK YOU!! We have been working like beavers trying to get settled in our new home. We really are so glad you sold the farm for us, and I never dreamed it could happen so quickly. Foxfire did a fantastic job from the beginning with handling all the details and advising us on how to go about making our first property sale in nearly 60 years. I put all my trust in you and your group to handle the sale and to work on our behalf. You went far above any expectations we had, and the property description and the interior photos and aerial photographs you did sold the farm on sight. Jerry and I cannot express in words how appreciative we are for your caring and willingness to help in every way. I panicked a few times and you always were there to answer and assure me things were going fine. I know it was a very small sale but you gave it the same attention that you would have on one ten times or more that size, I am sure that is why you are so successful in your business. I would recommend Foxfire to anyone buying or selling, they could not get a better real estate company anywhere. Richard, you enjoy your work and have the best team to do the job. Jerry and I are so happy here in Locust Hills and get to see our grandchildren often, they were here for Halloween, what gorgeous outfits they created to wear in Philadelphia to go out on the costume parade. We will keep in touch and hope you are enjoying this beautiful warm weather. Scott Reigel, O wner of Clear Creek Forest Management, LLC, is a native West Virginian and second generation forester, and a 1999 graduate of WVU with a BS in Forest Resources Management and Wood Industries. 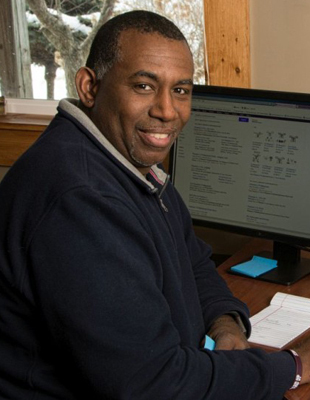 He has worked in the forest products industry as a inventory manager for Kopper’s Industries railroad tie treating facility dealing directly with the operations main client CSX. Scott then moved into the sawmill and log procurement sector buying, scaling and reselling sawlog and export veneer logs. 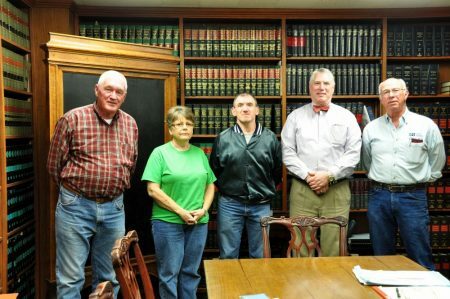 In 2002, Scott helped to establish Clear Creek Forestry, LLC., a partnership dedicated to multiple use forest management. 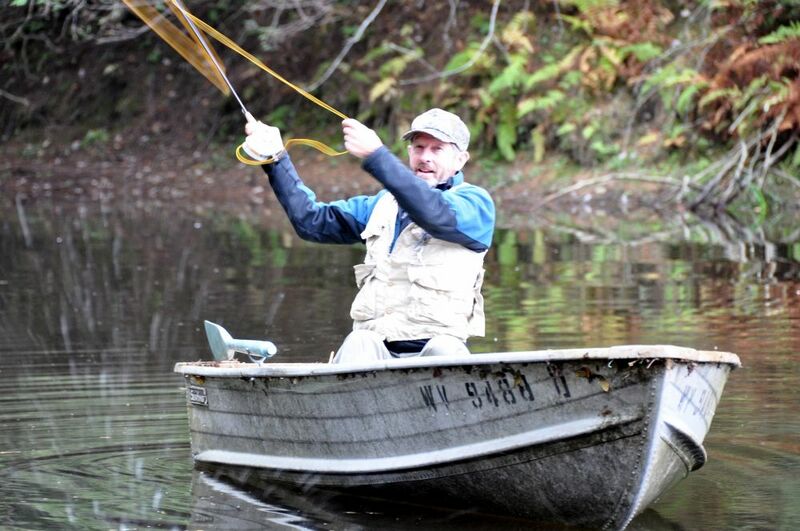 In 2009 Scott founded Clear Creek Forest Management, LLC and which has flourished based on strong client satisfaction. Scott’s company serves clientele throughout the Eastern regions of the US working in Appalachian hardwoods and south eastern pine plantations. He is also an instructor of forestry at the college level and has a true understanding and passion for forest resource management. You can visit Scott’s website at www.callccfm.com.